Home is meant to be a place of residence and is considered a safe haven for an Iranian. The material dimensions of tranquility and comfort, the lack of noise, setting of environmental conditions, such as cold heat privacy and relaxation, are the main characteristics of good housing and their absence can undermine the peace of mind. Home is the first space in which a person experiences feelings of belonging. Building a home is considered a cultural phenomenon and its architecture are heavily influenced by the culture it belongs to. 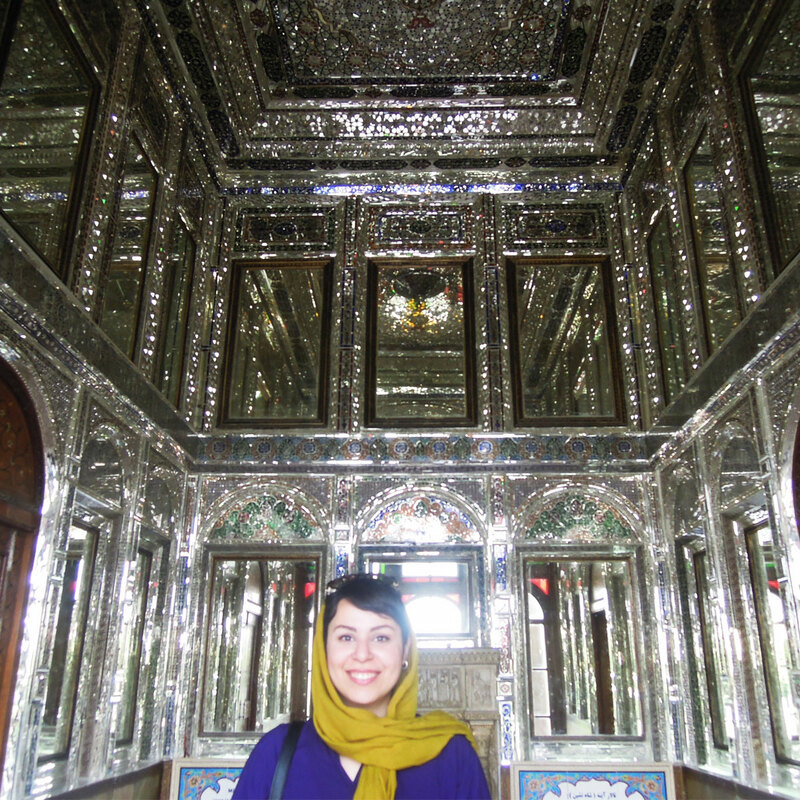 Home is meant to be a place of residence and is considered a safe haven for an Iranian. The material dimensions of tranquility and comfort, the lack of noise, the setting of environmental conditions, such as cold heat privacy and relaxation, are the main characteristics of good housing and their absence can undermine the peace of mind. In Iranian culture, the privacy of individuals and families is important. For this reason, introverted houses have been created, meaning that there is no direct visual contact between the inner spaces of the house and the outer spaces. Even the connection between inner spaces is carefully designed. In the culture of this kind of architecture, the real value is given to the essence and its inner core. The apparent shell is merely a virtual cover that protects the truth. Inner space determines the true essence of the building and is comparable to no outer space. 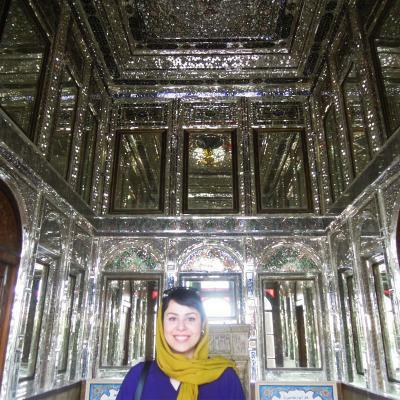 In fact, it can be said that in traditional Iranian homes, inner space is much more important than the exterior and facade of the building. Iranian houses have a simple unobtrusive appearance, but inside they have eye-catching magnificent and beautiful designs. Introspection is very important in Iranian mystic culture. It means meditation in order to find inner peace. Privacy as one of the basic principles in Islamic architecture for providing social security has different aspects. The kind of privacy you can find in Iranian homes, mosques, baths, gardens, and so on is evidence of it. The word "privacy" in the word means the space around the house and the place where it is obligatory to protect and defend. In Iranian culture, family members have their own kind of privacy that is distinct from non-family members. 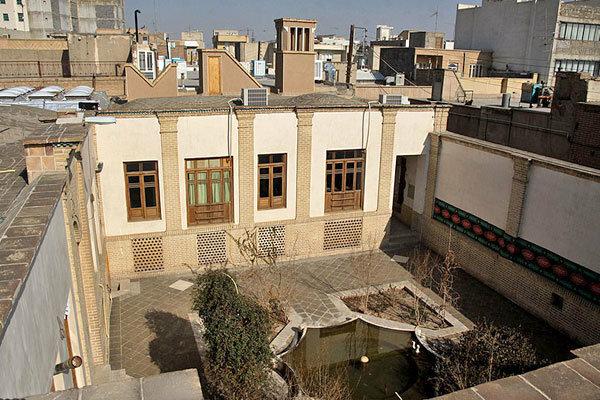 In traditional Iranian architecture a house in urban areas, a dense and introverted space, was a private space for family life which usually was the principle of privacy in its design and construction in order to protect family members and keep them out of sight of strangers. Based on this duality, the built-in architecture was made up of two parts of the inner space and the outer space. Inner space was particularly for main family members, especially women. In old times it was particular to women, children, and servants. The houses were divided into inner- private and outer-public spaces. Walls were built to separate these two and to keep the inner space out of the sight of the so-called "strangers”. The outer space of the house was particular to the men. The inner space was connected to the outer space_ a small courtyard with flowers and fruit trees_ by doors or narrow corridors. Sometimes the two spaces were separated from each other only by a thick curtain. The courtyard in old houses was the center and the heart of the building. 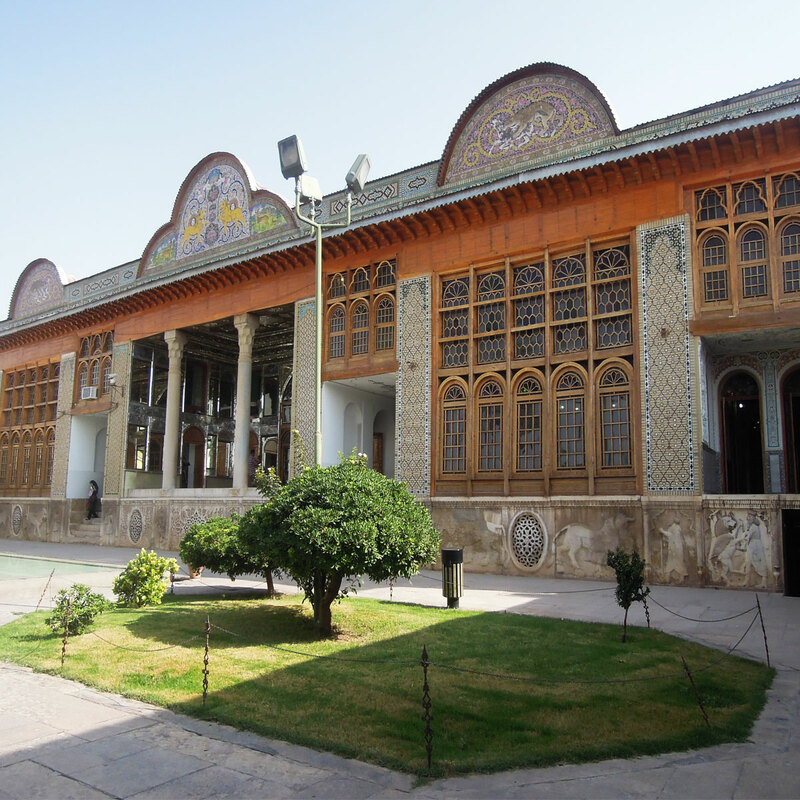 The central courtyard, with its porch in each side, was a feature that had been present in the Iranian architecture from a distant past. It was possible that the courtyard was not geometric in the center of the house, but in terms of living and doing activities and linking the various parts of the house, it was centered. The courtyard was a place to hold various ceremonies such as religious ceremonies, weddings, and gatherings of relatives. The yard was usually square. The dimensions of the courtyard were determined by the number and function of surrounding spaces. Each yard usually had a pond and several gardens which varied depending on local conditions such as climate and cultural factors. The organization of enclosed spaces of the yard was in a way that would fit into the seasonal variations and the various functions of the adjacent rooms. In old houses, ponds and gardens were the most prestigious elements of the yard. Sometimes, beds were placed around the pond in the summer season so that the family could spend time, eat and even sleep in the open air. In traditional houses, the surface of rooms’ floor was higher than the surface of courtyard floor which shows the importance and reverence of the rooms. Everyone had to take their shoes off before entering the room. Floors were always carpet and niche was built in walls for ornamental objects. 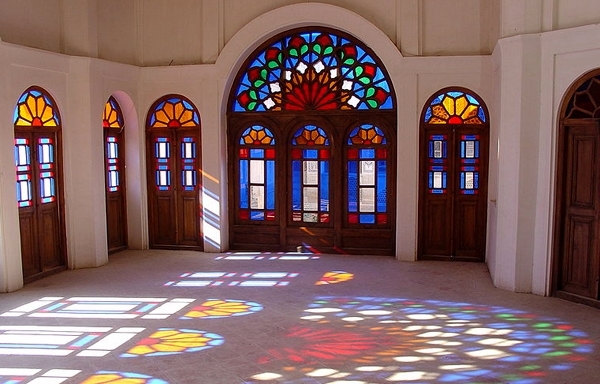 Windows were usually made of colored glass so as to prevent the intense sunlight, especially in desert areas, as well as to protect the privacy of the people inside the room. In ancient Iranian culture, before the modernization, members of the house and guests used to sit on the floor. Therefore, soft rugs and decorated cushions were placed all around the room so that people could rest on the floor. the kitchen was usually square or rectangle and close to water storage for more convenient use of healthy water. Inside the kitchen, there was a place for cooking, a place for storing wood, an oven for baking bread and niche in the wall for beverages and cookware. The kitchen was usually out of sight of the public. Preparing Iranian cuisine is difficult and time-taking. Since Iranians have a lot of respect for their guests they would not want to do the cooking in front of them and prefer to just serve the meal when it is done. Hall was generally a space with very beautiful decorations next to the simple rooms in traditional houses. The hall was decorated with Stucco art, mirror work, painting on plaster, Muqarnas and painting on wood and was used for entertaining very special guests. In Iranian culture, guest has a high degree of respect and is advised to provide the best rooms, food, and services to the guest. Living rooms were less important than the hall but more important than simple rooms. The living room was a gathering place for family and guests. It was very simple in decoration and very comfortable.